The Maharaashtra government has told the Supreme Court that it has put several security measures in place and therefore, the age cap on the Dahi-Handi ritual should be relaxed. 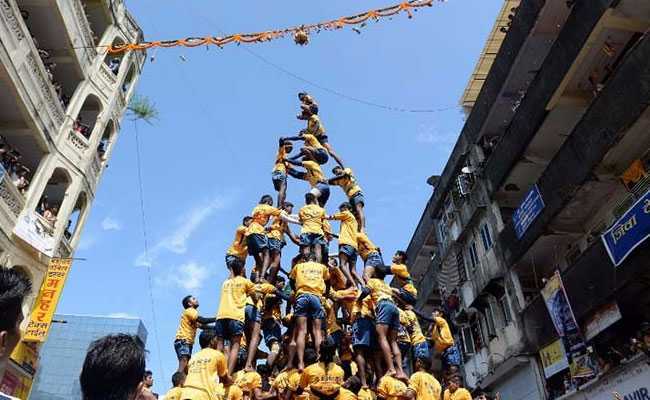 New Delhi: Ahead of Janmashtami, the Supreme Court today remanded back to the Bombay High Court a plea of the Maharashtra government challenging its order capping the height of the human pyramid and barring participation of minors in the famous 'Dahi-handi' festival. A bench of Justices Kurian Joseph and R Banumathi sent the matter back to the high court asking it to consider the plea afresh in the wake of material furnished by the state government, several NGOs and individuals. The bench said the matter would be taken up by the Bombay High Court on August 7. The state government has told the Supreme Court that it has put several security measures in place and therefore, the age cap should be relaxed. Dahi Handi is a ritual which will be observed during 'Janmashtami' on August 14 this year across Maharashtra and nearby states. The top court had on August 17, 2016 refused to relax conditions set by the High Court like barring youths below 18 years of age from participating in the 'Dahi-Handi' festival in Maharashtra and capping the height of the human pyramid at 20 feet. Few days later, a Mumbai-based organisation had sought modification of the order saying capping the height of human pyramid would take the "adventure" out of the festival which has become a "popular and competitive" sport in the western megapolis. It had told the court that the highest human pyramid at 43.79 feet has found mention in the Guinness Book of World Records and capping it would be "unfair". The court, however, had refused to modify its order saying this ritual sometimes caused serious injuries to participants, particularly spinal cord injuries. In August 17, 2016 order, the top court had suspended the operation of two directions passed by the Bombay High Court to regulate the 'Dahi-Handi' festival. One of the directions related to amending the existing law to bar children below 18 years of age from participating in dangerous performances like being part of the human pyramid of 'Dahi-Handi' festival. The second direction of the High Court, which was also suspended, related to the part of the order which makes it mandatory for organisers to apprise authorities 15 days in advance about various aspects such as place of celebration, its timing and personal information, including birth certificates of participating 'Govindas' on the ground of paucity of sufficient time. 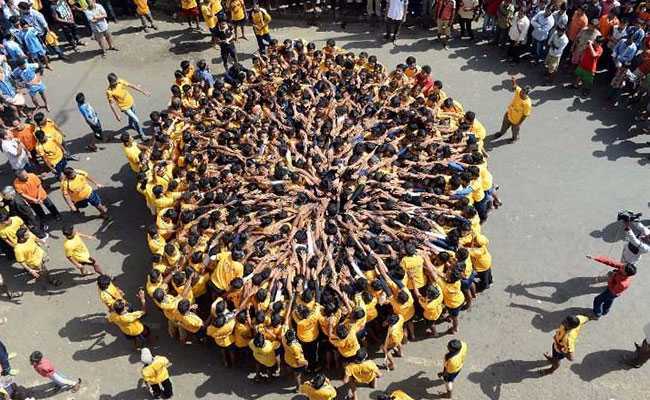 The Supreme Court had on August 10 revived a plea challenging a Bombay HC order restricting the height of human pyramids to 20 feet for 'Dahi-Handi' ritual, saying it needed to hear the PIL petitioner before passing any order. The Maharashtra government had earlier approached the Supreme Court seeking clarification on its 2014 order by which it had stayed the high court decision banning participation of those below 18-years in the popular 'Dahi-Handi' ritual. The high court had on August 11, 2014 ordered that the height of human pyramids should not exceed 20 feet and that children below the age of 18 should not be allowed to participate.